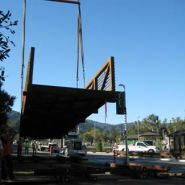 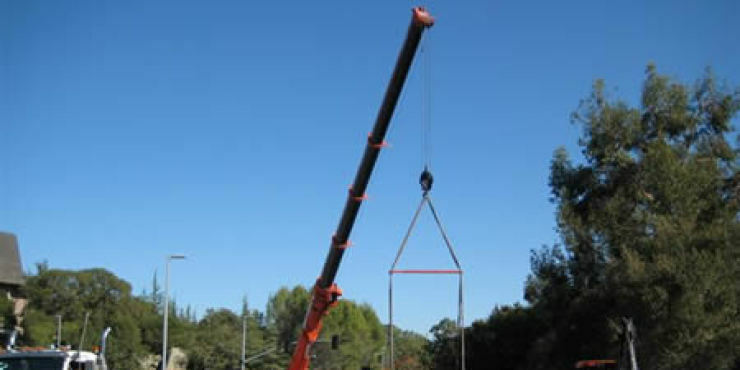 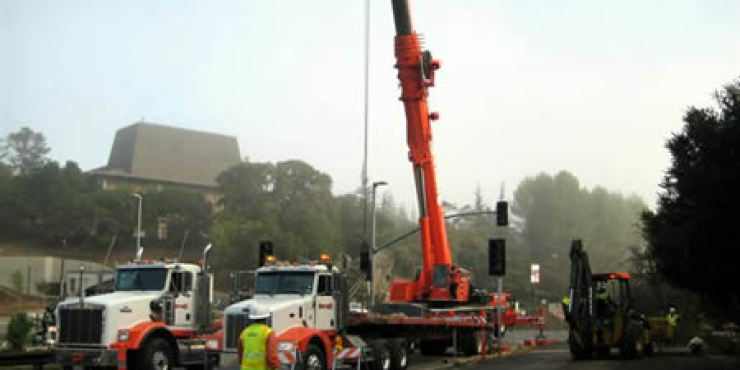 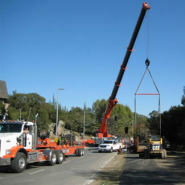 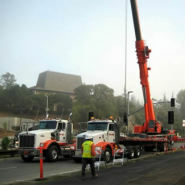 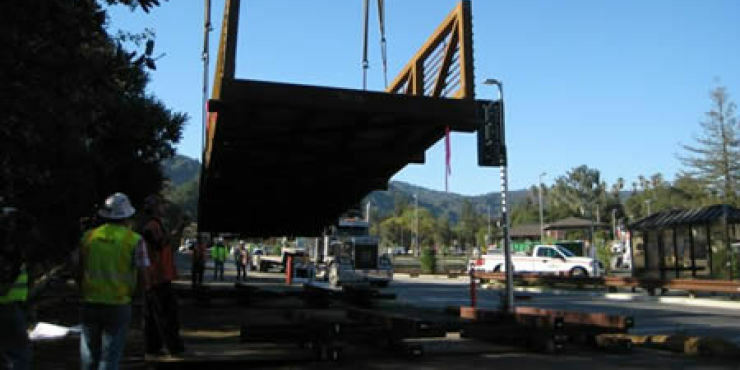 Installation of a prefabricated 92′ long, 10′ wide bridge placed over a live creek on to 2 abutments with a 265 ton crane. 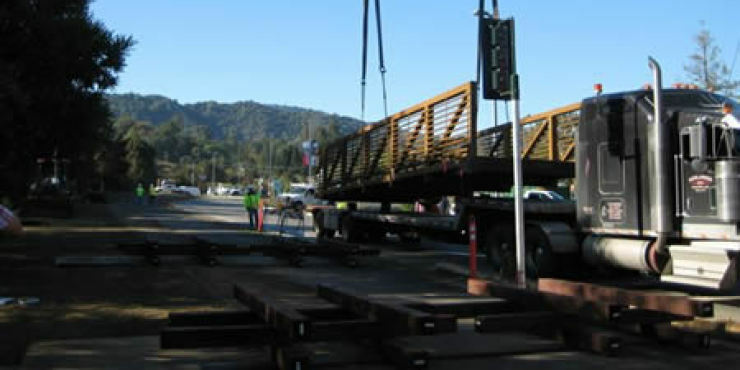 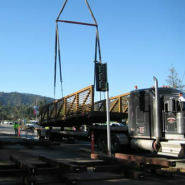 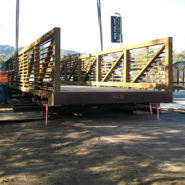 The process took approximately 6 hours including traffic control set up and required assembly of the bridge prior to setting. 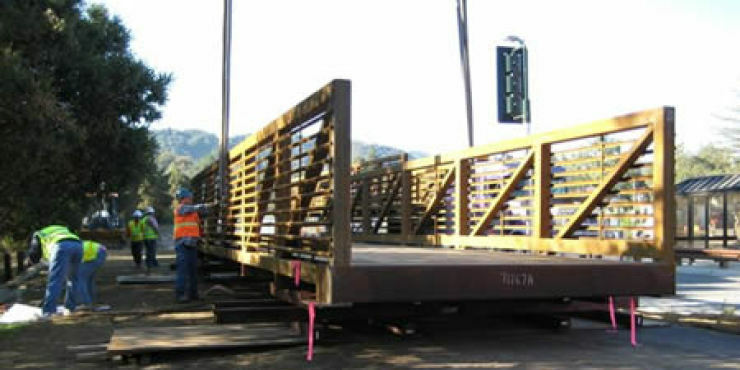 The most challenging part was ensuring that the 4 anchor bolts that were embedded into the abutments had been placed correctly in order for the bridge to be set exactly as assembled.